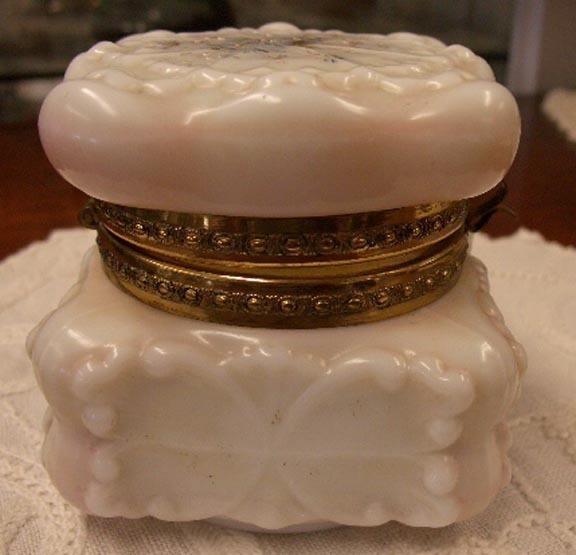 Beautiful signed C. F. Monroe Wave Crest brass hinged, square box. 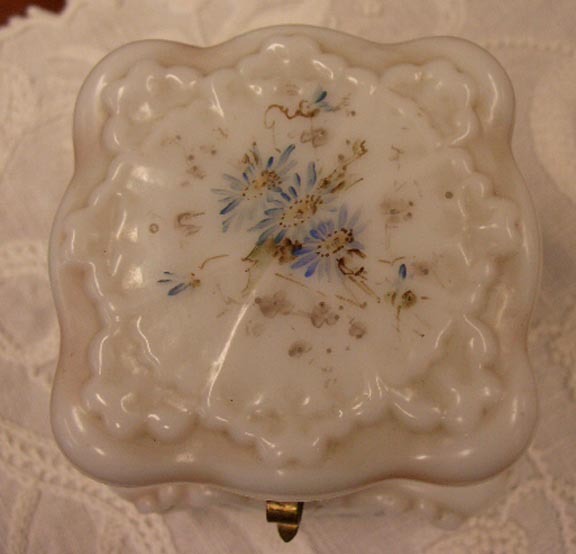 Has a handsome square shape with a floral pattern and enamel decoration. It is signed Wave Crest on the bottom. Measuring an impressive about 3 1/4" in diameter and 3 1/4" tall, the original hinge is very tight. There are no cracks, chips, hairlines or repairs. As you can tell by the photos, there is no satin on the interior and we cannot see any traces of any. 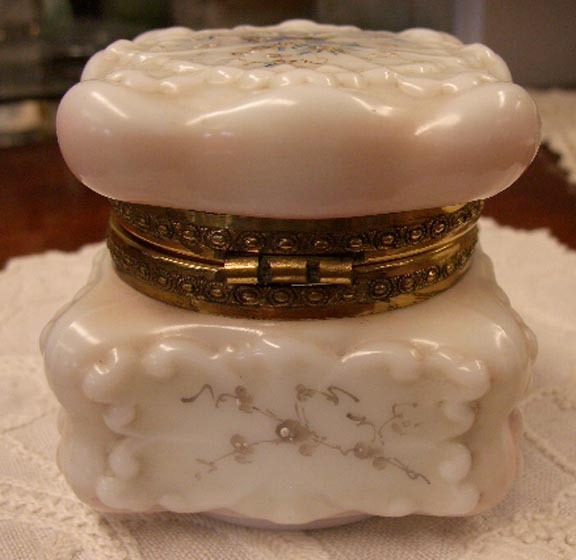 Wave Crest was made by the C. F. Monroe company in Meriden, Connecticut and patented in 1892. 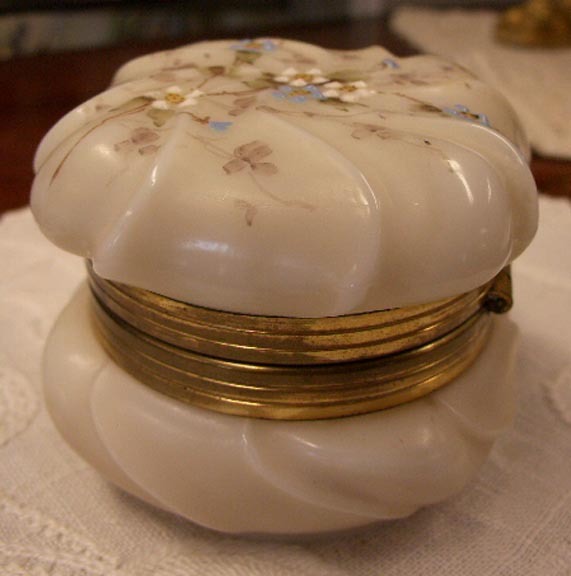 Beautiful signed C. F. Monroe Wave Crest brass hinged, square box. 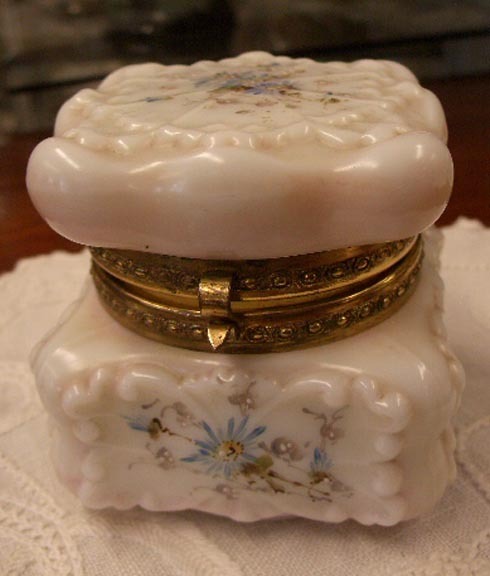 Has a handsome square shape with a floral pattern and enamel decoration. It is signed Wave Crest on the bottom. Measuring an impressive about 3 1/4" in diameter and 3 1/4" tall, the original hinge is very tight. There are no cracks, chips, hairlines or repairs. As you can tell by the photos, there is no satin on the interior and we cannot see any traces of any. 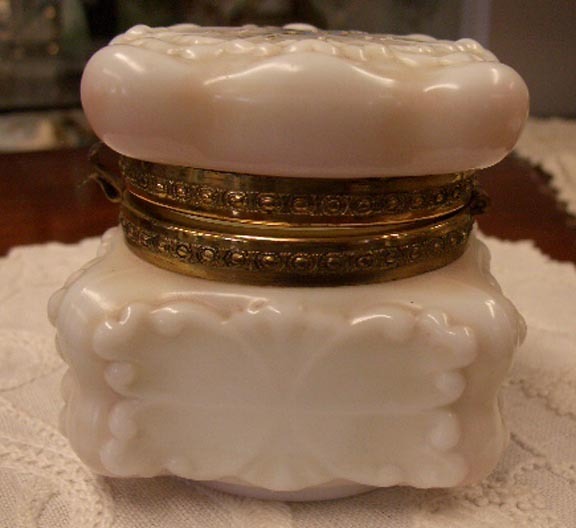 Wave Crest was made by the C. F. Monroe company in Meriden, Connecticut and patented in 1892. 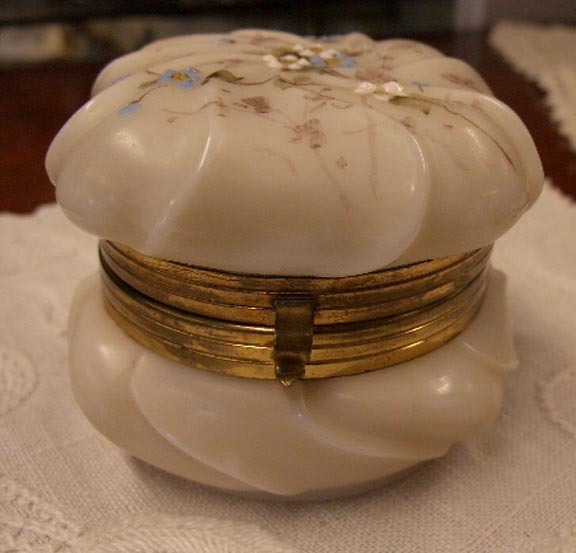 Beautiful signed, with its original label, C. F. Monroe Wave Crest brass, hinged box. 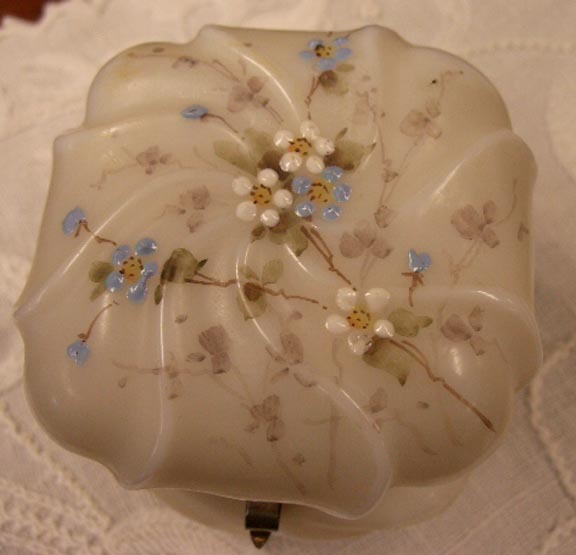 Has a handsome floral pattern and enamel decoration. It is signed Wave Crest on the bottom with its original label, pat. dated 1892. 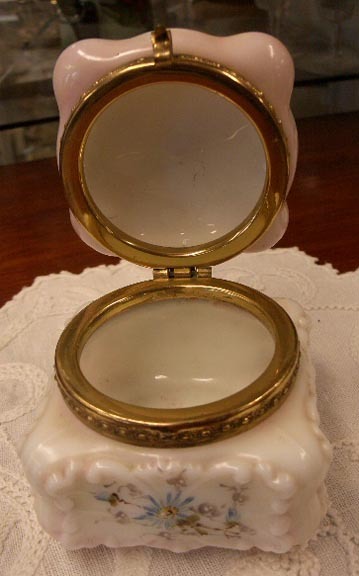 Measuring 3" in diameter and 2 1/2" tall, the original hinge is very tight. There are no cracks, chips, hairlines or repairs. The satin on the bottom is worn and there isn't any at the top. 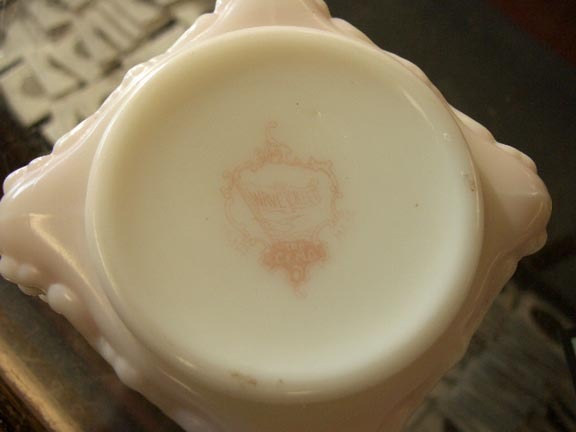 Wave Crest was made by the C. F. Monroe company in Meriden, Connecticut with patented in 1892. 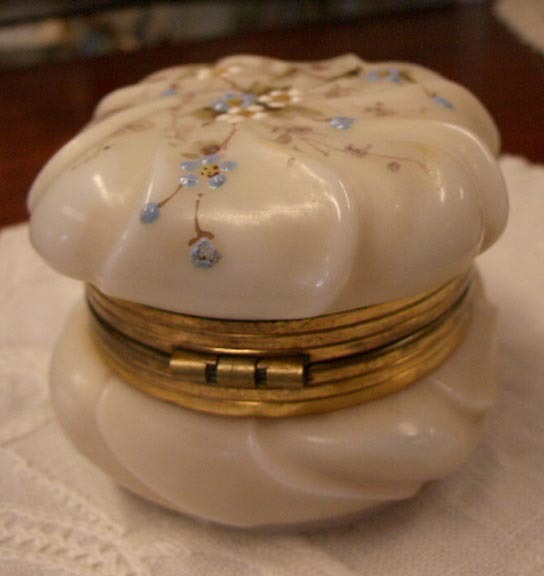 Beautiful signed, with its original label, C. F. Monroe Wave Crest brass, hinged box. 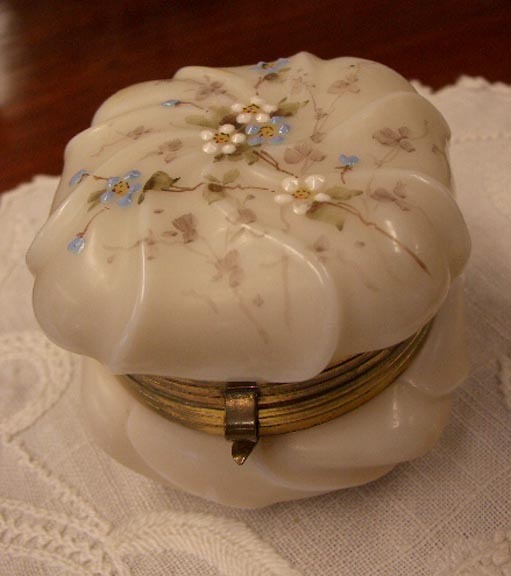 Has a handsome floral pattern and enamel decoration. It is signed Wave Crest on the bottom with its original label, pat. dated 1892. 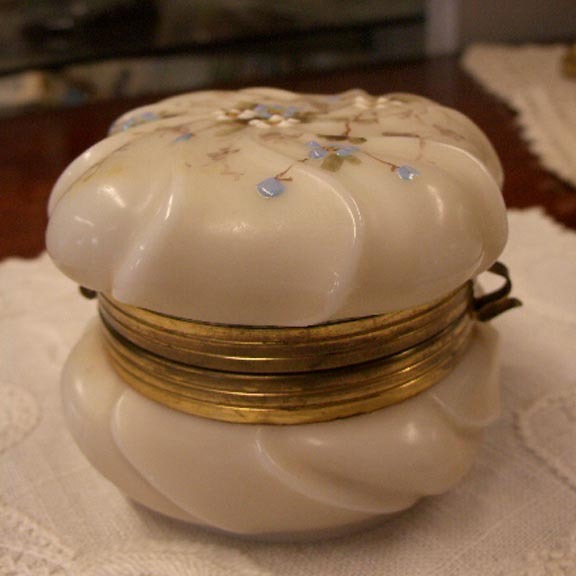 Measuring 3" in diameter and 2 1/2" tall, the original hinge is very tight. There are no cracks, chips, hairlines or repairs. The satin on the bottom is worn and there isn't any at the top. 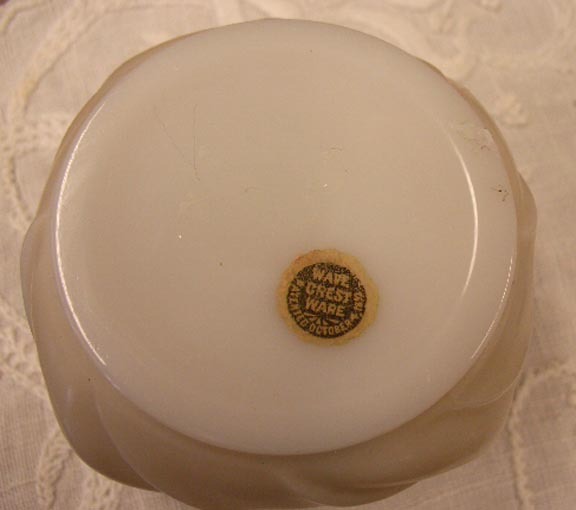 Wave Crest was made by the C. F. Monroe company in Meriden, Connecticut with patented in 1892.